If you or someone you love is impacted by arthritis, an upcoming community forum may provide answers to your questions. 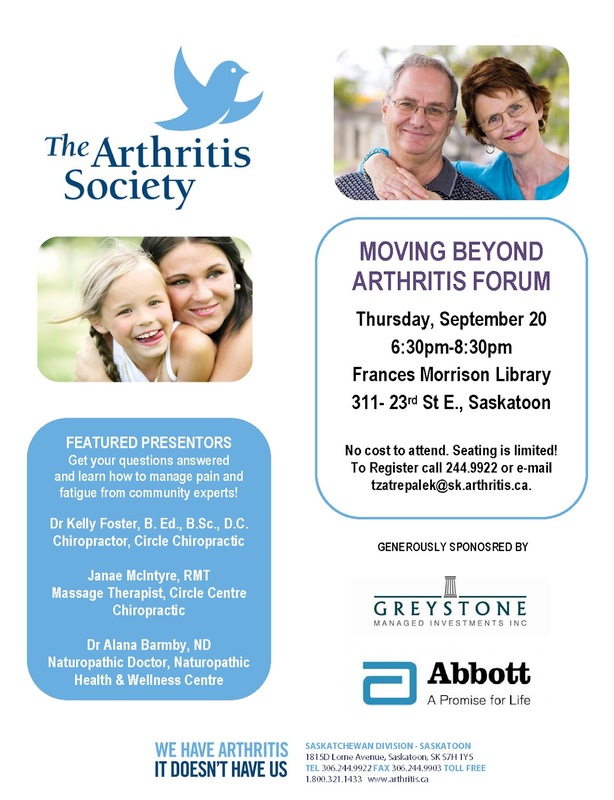 The Moving Beyond Arthritis Forum will be held Sept. 20 from 6:30-8:30 p.m. at the Frances Morrison Library. 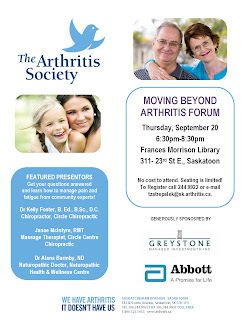 Participants can learn how to manage pain and fatigue associated with arthritis from community experts. According to Tennille Zatrepalek, community development coordinator for The Arthritis Society in Saskatoon, arthritis among children is more prevalent than juvenile diabetes. There are many parents living with arthritis as well. In fact, 60 percent of people with arthritis are under the age of 65. There is no cost to attend, but seating is limited. Register by e-mailing Tennille or by calling 244-9922.